oldreno42 has no other items for sale. 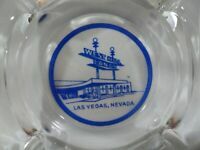 Lot Of Vintage Las Vegas Casino Memorabelia. 20 Matchbooks And 1 Ashtray.